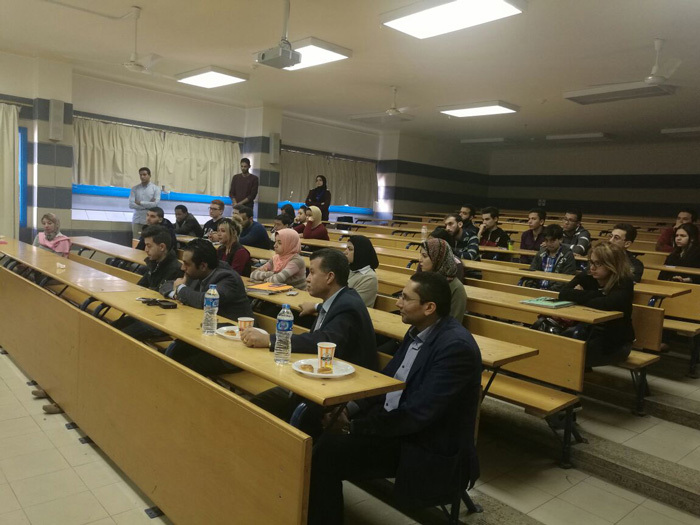 The faculty of Financial and Administrative Sciences hosted Eng. 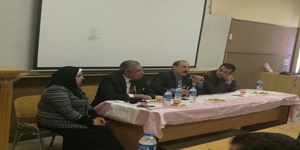 Ehab Zakaria, the Chairman of Kasr El-Salam company for contracting and real estate investment in a symposium on “Small-Scale Enterprises and Entrepreneurship”. The symposium was held on 6th of December 2016 in the presence of Prof. Ramadan Abu El-Ala, the Vice President of Community Service & Environment Development Affairs, Prof. Tarek Taha, the Dean of the faculty, a number of the faculty members and teaching assistants staff. The role of small-scale enterprises in economic development. Small-scale enterprises as alternative routes to success FOR youth. The key to the success of small-scale enterprises.